Manufactured from extremely high grade nylon granules, this hose gives almost total resistance to abrasion and many more chemicals including dilute acid and alkaline. Very stable in moisture type atmospheres. 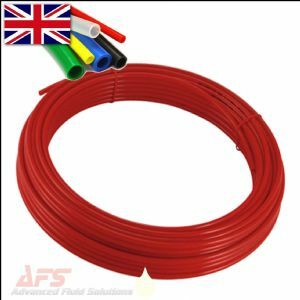 The properties of this tube make it ideal for use in pneumatic control systems, fuel lines, lubrication and also within the food, beverage and brewing industry (ideally suited for use with our range of push-in fittings). High resistance to moisture absorption. Suitable for use in air brake systems. Available in 1 - 30m coils.